InPark presents the 3rd quarter financial results for the six of the largest publicly traded theme park operators. 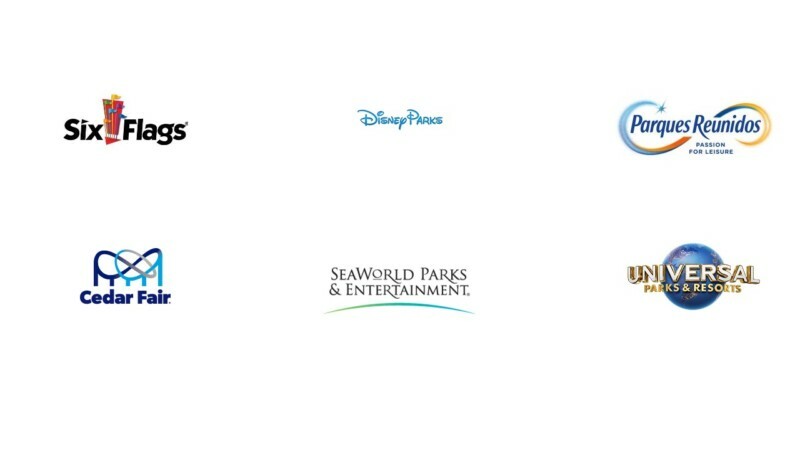 Each of these companies is included in the AECOM/TEA 2016 Theme Index’s list of the top 10 theme park groups worldwide. Click on the tabs for detailed financial information and a direct link to each company’s filing with local regulatory agencies. Results are for global theme park operations for each company and are for the approximate period July 1 – Sept 31. NOTE: The financial year for Disney and Parques Reunidos begins October 1. Results are for the companies’ 4th quarter, which runs Jul 1 – Sept 31. On November 8, The Walt Disney Company earnings for its fourth quarter and fiscal year ended September 29, 2018. Diluted earnings per share (EPS) for the fourth quarter increased 37% to $1.55 from $1.13 in the prior-year quarter. Excluding certain items affecting comparability(1), EPS for the quarter increased 38% to $1.48 from $1.07 in the prior-year quarter. EPS for the year increased to $8.36 from $5.69 in the prior year. Excluding certain items affecting comparability(1), EPS for the year increased to $7.08 from $5.70 in the prior year. Parks and Resorts revenues for the quarter increased 9% to $5.1 billion, and segment operating income increased 11% to $829 million. Operating income growth for the quarter was due to an increase at the company’s domestic operations. Domestic results reflected the comparison to the adverse impact of Hurricane Irma, which occurred in the prior-year quarter. Higher operating income at our domestic operations was primarily due to increased guest spending and attendance, partially offset by increased costs. Guest spending growth was due to increases in average ticket prices for theme park admissions and cruise line sailings, food, beverage and merchandise spending and average daily hotel room rates. The increase in costs was primarily due to labor and other cost inflation, a special fiscal 2018 domestic employee bonus and higher charges for project abandonments. Operating income at the company’s international parks and resorts was comparable to the prior-year quarter as growth at Disneyland Paris and Hong Kong Disneyland Resort was offset by a decrease at Shanghai Disney Resort. Operating income growth at Disneyland Paris was due to an increase in average ticket prices while growth at Hong Kong Disneyland Resort was due to higher occupied room nights and attendance growth, partially offset by cost inflation. The decrease at Shanghai Disney Resort was due to lower average ticket prices, partially offset by increased attendance. On October 25, Comcast Corporation reported results for the quarter ended September 30, 2018. Earnings per Share (EPS) for the third quarter of 2018 was $0.62, an increase of 12.7% compared to the third quarter of 2017. On an adjusted basis, EPS increased 27.5% to $0.65(see Table 5). Capital Expenditures decreased 2.0% to $2.4 billion in the third quarter of 2018. Cable Communications’ capital expenditures decreased 5.7% to $1.9 billion in the third quarter of 2018, reflecting lower spending on customer premise equipment, scalable infrastructure and support capital, partially offset by increased investments in line extensions. Cable capital expenditures represented 14.1% of Cable revenue in the third quarter of 2018 compared to 15.4% in last year’s third quarter. NBCUniversal’s capital expenditures of $405 millionincreased 14.4%, reflecting continued investment at Theme Parks. For the nine months ended September 30, 2018, capital expenditures decreased 3.4% to $6.6 billion compared to 2017. Cable Communications’ capital expenditures decreased 6.9% to $5.4 billion and represented 13.2% of Cable revenue compared to 14.6% in 2017. NBCUniversal’s capital expenditures increased 16.1% to $1.1 billion in 2018. On October 23, Six Flags Entertainment Corporation announced that revenue for the third quarter of 2018 increased $39 million or 7 percent from the third quarter of 2017 to $620 million. The revenue growth was primarily driven by a 5 percent increase in attendance to 13.6 million guests, and a 42 percent increase in sponsorship, international agreement and accommodations revenue. Net income for the quarter increased $3 million or 2 percent compared to the prior year period, and diluted earnings per share increased 2 percent to $2.16, primarily due to the growth in the business and the positive impact of tax reform, partially offset by an increase in stock-based compensation related to accounting for the company’s Project 600 award. Adjusted EBITDA in the third quarter of 2018 increased $6 million or 2 percent to $307 million compared to the prior-year period. Cash operating costs, including associated lease expense, increased 14 percent in the quarter primarily due to our five newly acquired parks, which have significantly lower margins than our existing parks. Foreign currency translation3 had a negative impact on Adjusted EBITDA in the third quarter of $1 million. Total guest spending per capita for the third quarter of 2018 was $43.02, which was an improvement of $0.08compared to the third quarter of 2017. Ticket price gains and sales of premium membership tiers were partially offset by lower per capita spending in our five newly acquired parks and the deferral of a portion of new membership revenue into 2019. Admissions per capita increased 1 percent to $25.86 and in-park spending per capita decreased 1 percent to $17.16. For the first nine months of 2018, revenue was $1.2 billion, an 8 percent improvement compared to the prior-year period, driven primarily by 6 percent growth in attendance and a 23 percent increase in sponsorship, international agreement and accommodations revenue. Net income grew $21 million or 12 percent and diluted earnings per share increased 17 percent to $2.30 driven by the growth in the business and the positive impact of tax reform, partially offset by an increase in stock-based compensation related to the accounting for the company’s Project 600 award. Adjusted EBITDA increased $26 million or 6% to $458 million. Attendance at the company’s parks for the first nine months of 2018 grew to 25.7 million guests, an increase of 6 percent as compared to the first nine months of 2017. The increase in attendance was primarily driven by the five newly acquired parks, the two new waterparks in Mexico and California, and the benefit of 365-day operations at Six Flags Magic Mountain. Guest spending per capita increased 1 percent to $43.15 for the first nine months of 2018, with admissions per capita increasing 3 percent to $25.59 and in-park spending per capita decreasing 1 percent to $17.56. The Active Pass Base, which represents the total number of guests who are enrolled in the company’s membership program or have a season pass, increased 9 percent year-over-year as a result of the company’s continued success in upselling guests from single day tickets to memberships and season passes. The mix of memberships in the Active Pass Base significantly increased as a result of the company’s roll-out of a new, premium-tiered membership program. Members are the company’s most loyal and valuable guests, with higher retention rates and higher revenue—especially from the premium membership tiers—compared to traditional season passes. Deferred revenue of $193 million, a record high for the third quarter, increased by $14 million or 8 percent over September 30, 2017, primarily due to incremental sales of memberships, season passes, and all-season dining passes. In the first nine months of 2018, the company invested $112 million in new capital projects and $23 million, less net working capital and other customary adjustments, to acquire the lease rights to five new parks; paid $198 million in dividends, or $0.78 per common share per quarter; and repurchased $81 million of its common stock. The authorized amount available for additional share repurchases as of September 30, 2018, was $262 million. Net debt as of September 30, 2018, calculated as total reported debt of $2,062 million less cash and cash equivalents of $69 million, was $1,994 million, representing a 3.7 times Adjusted EBITDA net leverage ratio. On October 30, Cedar Fair Entertainment Company reported record net revenues for its third quarter ended September 23, 2018 and announced a 4% increase in its quarterly cash distribution. Commenting on third-quarter and year-to-date results, Cedar Fair’s president and CEO Richard Zimmerman said, “Our solid third-quarter results reflect a sustained momentum at our parks, following a strong performance in August. This strength carried into October as we continue to broaden our entertainment offerings for audiences of all ages during our award winning Halloween events. These results reaffirm our confidence in the strength of our business model, as well as our ability to provide compelling entertainment experiences for today’s consumer. “I am proud of the entire Cedar Fair team and what we have accomplished so far this year – producing strong current results while focusing on growing the business and creating value for our guests and unitholders over the long term,” continued Zimmerman. “Thanks to our commitment to providing our guests with an amazing experience each and every time they visit our parks, 2018 is on track to be our eighth consecutive year of record net revenues, driven by strength across our three core metrics: attendance, in-park guest spending and out-of-park revenues. Guests of all ages have been delighted by our new rides, attractions and immersive entertainment offerings. By building on our momentum and extending these successful initiatives with our expanded WinterFest holiday celebrations, we expect to drive increased traffic this November and December over last year. We will continue to leverage our management expertise and superior assets to offer a broader entertainment experience at a quality and scale no other regional entertainment venue can match. Cedar Fair’s net revenues increased to $664 million for the third quarter, up $11 million, or 2%, compared with the third quarter ended September 24, 2017. The increase in revenues was the result of a 2%, or $0.74, increase in average in-park guest per capita spending to $49.47, as well as a $5 million, or 8%, increase in out-of-park revenues to $70 million compared with the same period a year ago. These increases were slightly offset by a less than 1%, or 57,000-visit, decrease in attendance to 12.4 million visits compared with the third quarter of 2017. The increase in average in-park guest per capita spending was driven by a 4% increase in pure in-park spending, while admissions per capita was comparable with the third quarter last year. Excluding the free pre-K season pass program, admissions per capita would have been up 1% compared with the same period last year. The food and beverage category led the increase in pure in-park spending, supported by the increasing popularity of the all-season dining and beverage programs. The increase in out-of-park revenues resulted from higher occupancy rates and average daily room rates at the Company’s resort hotels, including the new 158-room tower at Cedar Point’s historic beachfront Hotel Breakers. Although attendance increased in August and the post-Labor Day period, overall attendance during the quarter declined modestly due to inclement weather. Disruptive weather patterns across most of the country throughout July and the impact of Hurricane Florence, which forced the closure of two parks in the Mid-Atlantic for a weekend in September, contributed to the slight decline in attendance for the quarter. Operating income for the third quarter of 2018 was $259 million, up 1% when compared with the prior-year third quarter, due to the 2% increase in net revenues. The increase in net revenues was partially offset by an increase in depreciation and amortization expense primarily due to a change in the estimated useful life of an asset at one of the Company’s parks, as well as an increase in loss on impairment/retirement of fixed assets in the third quarter of 2018. Operating costs and expenses, which totaled $328 million for the third quarter of 2018, were comparable with the same period a year ago. Interest expense and net effect of swaps for the third quarter were both comparable to the same period in the prior year. During the third quarter, the Company recognized a $13 million net benefit to earnings for foreign currency gains compared with a $29 million net benefit to earnings for the comparable period in 2017. Both amounts primarily represent re-measurement of the US-dollar denominated debt held at the Company’s Canadian property from the applicable currency to the legal entity’s functional currency. A $39 million provision for taxes was recorded for the quarter to account for the tax attributes of the Company’s corporate subsidiaries and publicly traded partnership taxes, compared with a $74 million provision for taxes in the same period a year ago. This decrease in provision for taxes relates to the decrease in the federal statutory income tax rate resulting from the implementation of the 2017 Tax Cuts and Jobs Act and the decrease in pretax income from the Company’s corporate subsidiaries. Net income for the third quarter of 2018 totaled $213 million, or $3.76 per diluted LP unit, an increase of $22 million, or 11%, when compared with the same period a year ago. Adjusted EBITDA, which management believes is a meaningful measure of the Company’s park-level operating results, was $338 million in the third quarter, up 1%, or $4 million, from the third quarter of last year. See the attached table for a reconciliation of net income to Adjusted EBITDA. Based on preliminary results through October 28, 2018, net revenues were up $9 million, or 1%, to $1.25 billion when compared with the 10-month period a year ago. The year-to-date increase was driven by a 1% increase in average in-park guest per capita spending and a 5% increase in out-of-park revenues, offset slightly by a 1% decrease in attendance. Today, the Company also announced the declaration of a quarterly cash distribution of $0.925 per LP unit, representing a 4% increase from the previous distribution. The distribution will be paid on December 17, 2018, to unitholders of record on December 4, 2018. Based on its performance to date and expectations through the end of the year, the Company is reaffirming its previously announced full-year net revenue forecast of $1.32 billion to $1.34 billion and full-year Adjusted EBITDA forecast of $460 million to $470 million in 2018. The Company’s 2019 marketing programs, which included unlimited visits in 2018 for new 2019 season pass purchases and a new affordable 12-month payment program, are well underway and trending favorably with this same time last year. Notably, next year’s program will be highlighted by two thrill-packed roller coasters in unique themed areas of Canada’s Wonderland and Carowinds. Additionally, Cedar Point will introduce a new interactive adventure where guests of all ages will be challenged, questioned and pushed to the limits in both brain and brute power. Looking ahead, the Company will continue to seek new ways to broaden the guest experience, expand its season pass platform, and pursue the development of land adjacent to its parks. “While focused on wrapping up a strong finish to 2018, we’re even more excited about the opportunities ahead of us in 2019 and beyond. We remain solidly committed to providing the best entertainment value for our guests and the best long-term investment value in our industry,” Zimmerman concluded. On November 5, SeaWorld Entertainment, Inc. reported its financial results for the third quarter and first nine months of 2018. In the third quarter of 2018, the Company hosted approximately 8.3 million guests, generated total revenues of $483.2 million, net income of $96.0 million and Adjusted EBITDA of $212.4 million. Net income includes approximately $3.9 million of pre-tax expenses associated with separation-related costs. Net income in the third quarter of 2017 includes approximately $5.1 million of pre-tax expenses associated with separation-related costs in the third quarter of 2017. The Company believes the improved attendance results from a combination of factors including the Company’s new pricing strategies, new marketing and communications initiatives and the positive reception of new rides, attractions and events. Revenue was positively impacted by the strong increases in attendance and in-park per capita spending (defined as food, merchandise and other revenue divided by total attendance) partially offset by lower admission per capita (defined as admissions revenue divided by total attendance). The decline in admission per capita primarily results from the impact of new pricing strategies. Adjusted EBITDA was positively impacted by increases in attendance, total revenue per capita and the impact of an increased focus on cost efficiencies and the realization of cost savings initiatives. In the first nine months of 2018, the Company hosted approximately 18.0 million guests and generated total revenues of $1.09 billion, net income of $55.8 million and Adjusted EBITDA of $336.7 million. Net income includes approximately $34.0 million of pre-tax expenses associated with separation-related costs and legal settlements recorded in the first nine months of 2018. Net loss in the first nine months of 2017 includes approximately $293.5 million of pre-tax expenses associated with the following: (i) $269.3 million related to a non-cash goodwill impairment charge, (ii) $8.4 million related to non-cash equity compensation expense with respect to performance awards which vested in the second quarter of 2017, (iii) $8.1 million related to a loss on early extinguishment of debt and write-off of discounts and debt issuance costs, (iv) $5.1 million related to separation-related costs, and (v) $2.5 million related to a legal settlement accrual. The Company believes the improved attendance results from a combination of factors including the Company’s new pricing strategies, new marketing and communications initiatives and the anticipation and reception of new rides, attractions and events. Revenue was positively impacted by the strong increases in attendance and in-park per capita spending partially offset by lower admission per capita. The decline in admission per capita primarily results from new pricing strategies. Adjusted EBITDA was positively impacted by increases in attendance, total revenue per capita and the impact of an increased focus on cost efficiencies and the realization of cost savings initiatives. As of September 30, 2018, the Company’s total net leverage ratio as calculated under the Senior Secured Credit Facilities was 3.40 to 1.00. On November 27, Parques Reunidos announced that it had closed its fiscal year 2018 (from October 2017 to September 2018) with revenue of €583.1 million, a +2.3% like-for-like increase in comparison with the previous year. In line with the trading update announced by the company on 4th October 2018, EBITDA closed at €173.6 million (+1.4 % like-for-like). Proforma net income was €49.5 million (-3.7%). The group has delivered positive growth across all regions and season passes sales have reached new record levels (+16%), even though performance has been affected by poor weather conditions in the US and to a lesser extent in Europe. The total number of visitors have reached 19,9 million, a like-for-like increase of +1.7%. By region, Spain achieved another record year driven by a strong attendance that resulted in revenue growth of +4%, with an outstanding performance in the fourth quarter of the year and good results from the expansion of Warner Beach. The rest of Europe also delivered a positive performance, driven by higher attendance and per capita revenue, the successful opening of Mirabeach extension at Mirabilandia (Italy) and a strong performance during the low season. In the US revenue grew 0.6%, after performance was negatively impacted by extremely adverse weather conditions -California and the Northern East have experienced a combination of cooler temperatures and more rainy days-. Parques Reunidos is focused on delivering growth and creating value for its shareholders. The company is currently developing for 2019 four expansion projects that represent a €70 million investment. Ducati World will be a one-of-a-kind branded area at Mirabilandia (Italy) incorporating the latest technologies that replicate the experience of riding a Ducati. Kennywood (Pittsburgh, Pennsylvania) will incorporate Steelers Country, an exclusive and innovative football experience through a record breaking 67-meter-high roller coaster themed after the famous football team The Pittsburgh Steelers. Nearby Dutch Wonderland (Lancaster, Pennsylvania), the first Cartoon Network hotel will be developed offering a unique accommodation experience for the park’s visitors. Lastly, the state-of-the-art indoor “Living Shores Aquarium” will come to Story Land (New Hampshire) during 2019. This autumn two indoor entertainment centers are opening their doors: Atlantis Aquarium and Nickelodeon Adventure, both located at Madrid Xanadu shopping center. Parques Reunidos has a strong track record in M&A and is actively analyzing new opportunities.